He beat the record fair and square. He just can’t hold it. 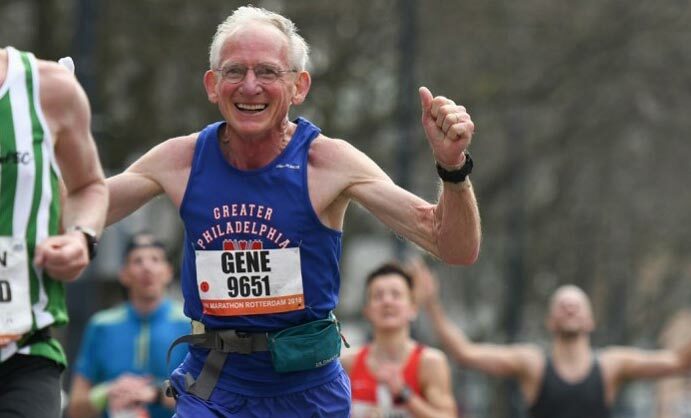 Seventy-year-old Pennsylvania resident Gene Dykes beat the world record for his age group when he crossed the finish line of the Jacksonville marathon in 2:54:23 (averaging a 6:39 pace) on December 15, but due to a technicality, it doesn’t count. The Jacksonville marathon course where he set the record was certified by USA Track and Field (USATF) but not sanctioned by it. According to USATF, only races that are certified and sanctioned qualify for national and age group records. The previous record set in 2004 of 2:54:48 by 25 seconds. Dykes has a strong yet friendly competition going with himself. His competitiveness has driven him to excel in various activities, like bowling and golf, where you’re constantly trying to beat the score of your past self. 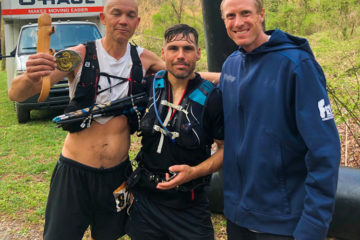 Feeling that he has gotten all that he could from those sports, he moved on to discover his talent for running and is now a frequent racer, competing in marathons and ultra marathons. “My ability to recover is my superpower,” he says. This week, BRO talked to Dykes about running, inspiration, goals, and the pain cave. BRO: How did you start running? Dykes: I’ve had two running careers, so to speak. The first one started when, on a whim, I decided to run to some girl’s house about two and a half miles away. I was probably 12 at the time. That would be about 1960. I’m pretty sure I never saw another jogger. On that first run, I distinctly remember needing to stop and walk after about a mile, and I was totally disgusted with myself, vowing never to stop for rest during a run ever again. I pretty much kept that promise. I repeated that run, with some variations, many, many times over the years. Though, I don’t think the girl was ever impressed. I ran track in high school, running the 2-mile event my senior year – the first year it became an event. I thought I was pretty hot stuff, winning just about every dual meet and the county meet. It was probably because all the good runners ran the mile and 880, though. When I got to college, I was totally outclassed – competitors and teammates alike left me way behind. This firmly impressed upon me the deep-seated notion that I was just an ordinary runner. So, after college, I continued to jog whenever I felt like it, but I never raced, and my main sports were golf and bowling, which I got pretty good at. My first running career came to an end when I sprinted in at the end of a run, tearing my hamstring at the insertion point. It was six years before I could run again. It’s now 2004, and I’m 56 years old. I needed a new outlet for my competitive instincts. In a golf outing, I was paired with a fellow who said he had a running group and that I should think about running with them. Later that year I tried my annual shakeout jog and discovered that my injury was at long last healed. I ran a little more and then joined the group for weekend runs. They talked about all the races they did every year, so of course, I had to give racing a try. My first two races in 2006 were instrumental in determining the trajectory of my second career in running. 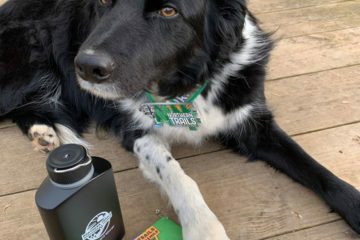 The first was a 7-mile trail race, and it was a total hoot. That kicked off my love of trails. The second race was a road half marathon. Although I didn’t place in my age group, my time was good enough to bypass the New York City Marathon lottery, and since all my friends were running it, I had to try it, too. At NYC, I qualified for Boston, so my marathon career was kick-started. BRO: What is your journey with running? 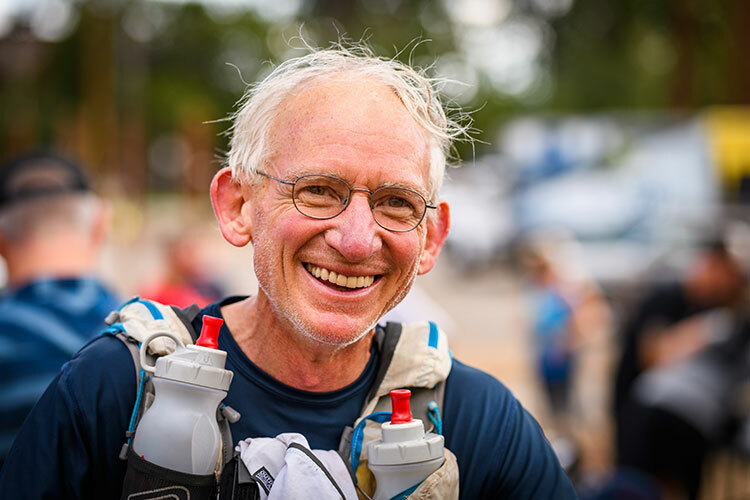 Dykes: After those first two races, I made either a conscious or unconscious decision that each year I would try to run ever longer trail races and to keep lowering my times at road races. Obviously, I was never a terrible runner, but I sure wasn’t turning any heads. Over seven years I lowered my marathon time from that first 3:43 at NYC to a 3:16 at the Steamtown Marathon. I was good enough to win my age group at smaller marathons when nobody better showed up. I was pretty sure that I would never beat that 3:16, but, of course, I kept trying. It was the Toronto Marathon in 2013 that set the stage for my elevation to elite running. Instead of beating my 3:16 target, I struggled in with a 3:29. 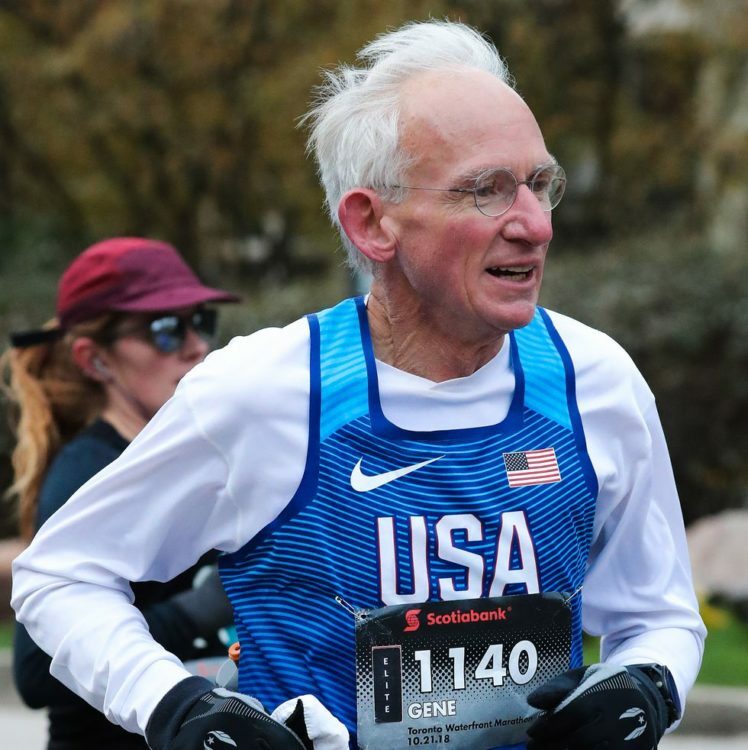 I figured age was finally catching up to me, and that if I wanted to find out if there was a better runner inside, time was running out and I needed a coach. In just five months of training under Goldthorp’s guidance, I ran a 3:09 at Boston, finishing 3rd in my age group. And I’ve improved every year since then, running new PRs at all distances at the age of 70. On the trail running side, I started increasing my distances by running adventure runs with my daughter and then entering ever longer stage races and endurance runs. I told my wife once that I would never be one of those crazy ultra runners, but here I am sometimes running more than a dozen ultramarathons a year, with some of those races being as long as 240 miles. Conventional wisdom says that you can’t run lots of ultras and be a good marathoner, but both my coach and I have come around to the belief that doing ultramarathons gives me a huge base that can be leveraged into marathon speed with targeted training. We’ll find out at Boston this year! To kick off the training cycle for Boston, I’m doing two 50-mile races in January and a 100-mile and 218-mile race in February. Then I’ll have six weeks to get ready for Boston. BRO: You are an inspiration to many. Is there anyone who inspires you? Dykes: The people who inspire me are the back-of-the-pack folks in stage races and ultramarathons. We sometimes run in awful conditions where I’m totally done in at the day’s finish, but then there are these runners who have absolutely no chance of winning anything ever and who are suffering just as much as I am, except that they are out there for hours and hours longer. They do it for the love of running, and I want to make sure I never lose the spirit I see in those folks. BRO: What has been your favorite experience with running? Dykes: You might think it would be when I first broke three hours in a marathon to set a single age world record or one of my three Boston Marathon age group wins, but actually, it was in a race when I finished third in my age group. I imagine most runners have these daydreams about nipping an opponent at the finish line by giving 100% effort. But the opportunity to see if you can live up to that dream rarely presents itself. I was in a 10K USATF Club Championship Cross Country race, and I had about a mile and a half to go. The demons were whispering in my ear that I had run a good race and that I should save some for the next race. I was all set to cruise to the finish when I was passed by a runner in my age group. I immediately picked up the pace to stay even with him, and then with a mile to go, I picked up the pace yet again to attempt to pull away. I’m probably already at the max effort I’ve ever been at in a race, but I just knew that it wasn’t enough. Picking up the pace more, and then picked it up yet again. I was deeper in the pain cave than I could have ever imagined. Though I did beat him by a few yards to finish 3rd, and ever since then, I’ve had the confidence that if it ever came down to digging deep or failing that I would have the strength to prevail. 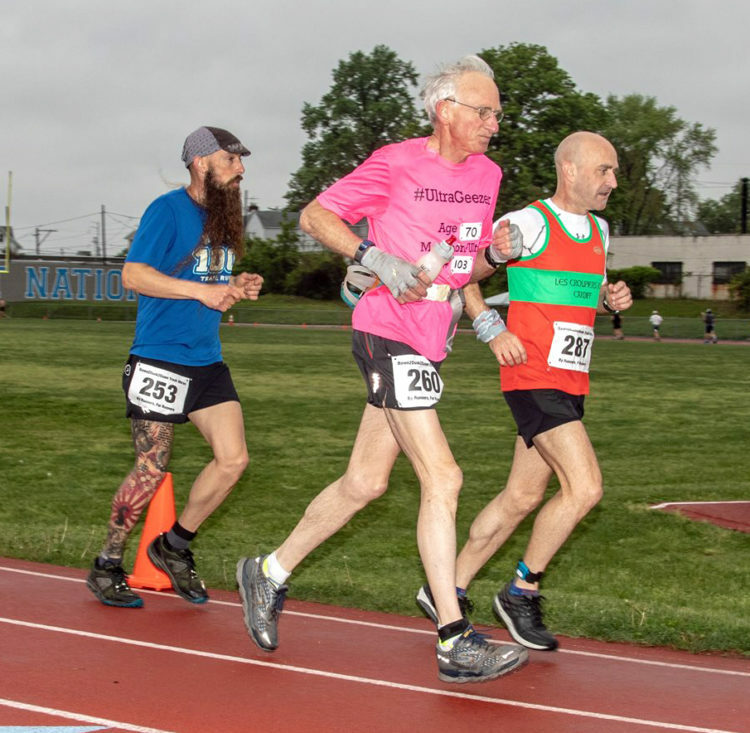 BRO: What are your thoughts about being recognized as not only an advanced runner but also a 70year old advanced runner? Dykes: Gee, I don’t feel old! I sure hope, however, that a lot of people have rethought how much enjoyment can be had running after retirement. I’m having a blast. It would be a tough decision for someone to make, but the best advice I can give to someone younger who wants to run like I do when they are old is to stop running hard! Stay in shape, but don’t destroy your legs with years of abuse. You’ll have more time to race when you are older and if you save yourself a bit, you’ll be able to enjoy all that time more. BRO: What are your feelings towards the technicality that makes your recent record not count? Dykes: Embarrassment, mainly. There’s no reason I shouldn’t have known what the requirements were and whether or not the race I selected met those requirements. I’ve also said many times in the past that Ed Whitlock’s records were what motivated my training. My goals were to match them, and achieving my goals that were most important. Actually holding the record didn’t mean nearly so much. Of course, that doesn’t mean that I won’t be giving it a go sometime in the future! BRO: Why do you run? Dykes: It’s fun to be outdoors, and trail running lets you see some of the best of it. 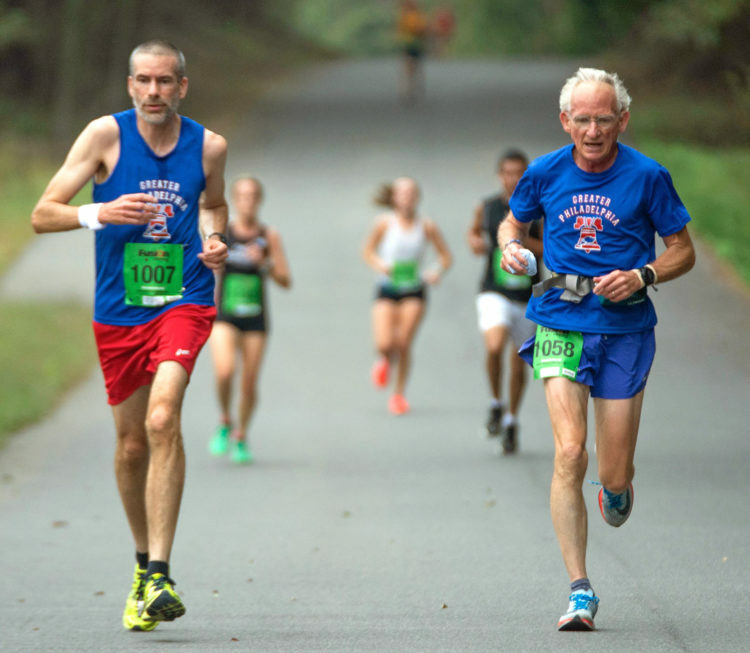 I’m competitive, and running has competition for older runners with age groups and age-graded scores. It’s a very sociable sport that seems to bring the best out in people. Either that or it attracts the best people! BRO: Do you have any advice for runners of all ages? Dykes: If you are competitive, make your primary competitor that runner in the mirror. Always try to outdo what that runner did the year before. Go a little further, or a little faster, or a little more often, and pretty soon you’ll be doing things once thought to be impossible. BRO: What are some goals/plans for the future? Dykes: Most years I pick a few destination ultramarathons that I can really look forward to and then do competitive races in between. 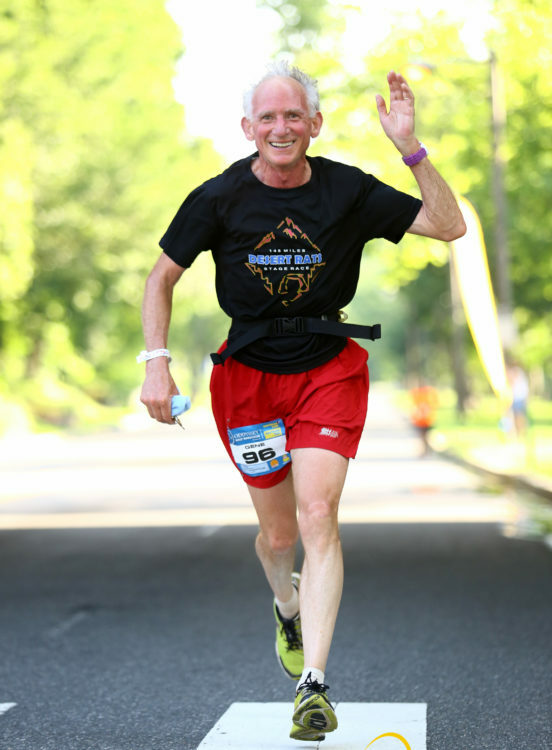 Last year, since I had just turned 70, I reversed that and put a priority on races where I could win championships or set records, and I filled in between with ultramarathons. This year, however, I am fully back into ultramarathon mode, with 13 ultramarathons scheduled. I’ll also run five marathons, four of them all out, but as far as that elusive world record is concerned, that will probably have to wait until 2020. Looking further out, I keep track of my “Oldest Known Finisher” races. It’s nothing official, of course, but I’ll use it to keep myself motivated to keep doing big ultramarathons. Wouldn’t it be neat if I could complete the Triple Crown of 200s again, but at a much older age? 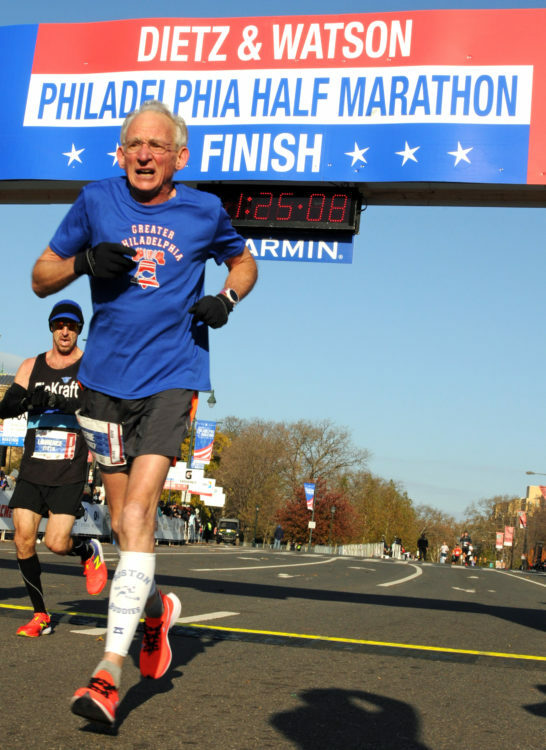 I’ve often said that my ultimate marathon goal is to win the 120-124 age group at Boston.